Recently I faced my own mortality after a long ten day stay in the hospital for emergency back surgery. Prior to this, I had gone through the worst pain I ever felt in a lifetime since being in a terrible auto accident. That particular incident changed me and began my quest for the magic bullet to weight loss. I had gained a ton of weight since my journey began and my life was not my own anymore. My life had been in a tale spin of pain and loss since. My aunt, uncle and two cousins died as they succumbed to the effects from obesity. Being obese made my surgery and ambulance trip to the hospital a very dangerous and arduous one. Luckily, this has given me the chance to finally understand being overweight was the most debilitating thing in my life. Something that had to be changed. There are groups out there that push for fat acceptance. After all the massive pain, infection and long recovery… I will not accept or allow obesity to rule my life anymore. Surgery at my weight was so much more of a risk. My recovery time is at least three times longer as it is hampered by my larger weight. Now I have been given the chance to finally see clearer. I have developed the new ability to rationalize between my hunger and what bad food choices will lead to further pain. I want to live a life free of the debilitating effects that obesity brings. It has renewed my dedication to fighting it. Don’t give into the life that does not have to be. Take today and this moment to join myself and others as we refuse to settle for obesity. Over the last decade, I have heard so many things against the so called 99 cent meals. Fast food was terrible for you and the cause of my obesity. It must be taken off my list of choices to stop at and I would be banished to eating at home for the rest of my life. Yet now that I am on Weight Watchers, I am told I can eat anything I want. Just with a more informed take on things. At first I thought they were just telling me what I wanted to hear. Boy was I pleasantly surprised to be wrong. I just need to understand how it all plays into my health and daily intake. So after venturing over to my local Wendy’s, I looked at what choices I did have for 99 cents. There were frosty’s and some other questionable items. Yet there were also baked potatoes, chili and broiled chicken sandwiches. Really good tasting. They even listed the calories on the menu for most items and gave me great suggestions. I had always thought that information was supposed to be hidden in the dark cellars or bank vaults for no one to ever see. Fast food was supposed to be evil and I should not ever go near it. Yet with so many different selections, I could now pick a heck of a lot of cheaper foods and still make tasty decisions that won’t come back to haunt me. Sort of like a whole bunch of other decisions in my life I made but came to regret. That is a time for another story though. Yet how could this be. I thought I was going to have to eat at home forever like a hermit. That or find a expensive restaurant that would prepare the meals exactly the way I wanted. Boy was I pleasantly wrong. I was now able to eat and feel no guilt while being able to save some well needed money. In this economy that was a bargain. So where were the pounds. How could a baked potato with cheese, a grilled chicken sandwich and a small chili keep me thin? Fast food restaurants were supposed to make me fat. They were the ones pushing all those double hamburgers and fries down my throat. Or were they? When I went to order, I had choices on the menu from a whole bunch of different good foods. Most with the calories listed right there for me to see and nobody was screaming at me to buy them. So after telling myself I could go there without fear, I have visited a few more times in the last week and find it so much easier to buy what I want without any terrible guilt or temptation. I actually enjoyed the grilled chicken. There were great other like caesar wraps and other salads as well. It was just choosing to have one, not the three or four I used to order. I saw thin people making those choices as well and I know they are not all that different from me. They are not starving to death and look pretty happy. Suddenly I was eating like a normal person without any fear of gaining weight. I did not feel hungry and was starting to lose weight. Taking off those pounds that were making me feel so sick all these years was the greatest feeling of success. I began to understand that it was not fast food restaurants that were making me fat. It was not even the grocery stores that put the bakery in the front of the store or even all those yummy commercials for the newest sugary deserts or cereals on television. All I had to do was eat what were some reasonable choices made with some guidance. For me it was the Weight Watchers 360 program that helped open my eyes. Yet there are other programs for people that might want something different. I am a fan of over eaters anonymous or personal therapists to figure out more about why I make some of the choices that I do. I was so much happier that I no longer had to cary any disdain or avoid every fast food restaurant I see from my car. It was all about what my choices and what to order when I was there. I was the one with the power to make my own choices. Diet communism was over! I even found that if the calories were not present, they had them behind the counter or online. Either way, pretty easy access. Some states now even require fast food restaurants to list the calories right up there for all to see. So the list of the blame game becomes one major step less, as the 99 cent weight loss plan began to work. I love choices and now have so many more. For many years I was a on and off member of Weight Watchers. While I thought the program made sense, I was not a very big fan of it’s maintenance program. I had lost well over two hundred pounds with Weight Watchers and was never happier. As I finally met my goal weight though, I felt that like there was not a substantial enough plan in place to keep it off. I had not learned to change my life and I was not happy. So I quit going. My immediate thoughts were to blame the company and go it alone. Then even more pounds came back and I went in search of another magic cure. 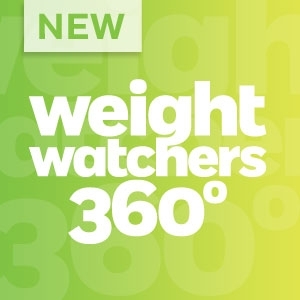 Some time later now, I heard all about Weight Watchers new 360 program. My first thought was here we go again. Just another company playing another profit game. After all, they just changed their program a year or so ago. Yet to my total shock, there really were extensive changes. Many of them concentrating on more then just food and weight loss. Instead it was fantastic and easy techniques to give me a better chance at succeeding. All this without having to resort to my old school thoughts about dieting and the constant obsession with taking off the pounds regardless of my health. Could there actually be ways to deal with our horrifying food environment we are surrounded by every day? What shocked me the most though was that I was greeted at the door by the group leader named Matt Karres. This is a man that was so similar to myself in his old weight that I could immediately relate. He had once been over five hundred pounds and lost all the weight he needed to. He showed me the the utmost compassion and interest. I had even brought my mother with and he treated her like she was his own. Bravo! As I sat through the meeting, one thing struck me. Matt did not hawk any Weight Watchers products or make me feel obligated to buy anything. Later on I curiously asked Matt how he could even earn a salary doing this. The theory always was is if you push they will buy. Well that theory needs new thinking. Curiously, Matt has the highest sales of anyone in his center. So what could be his trick. Does Weight Watchers have a secret plan. Do they own some unknown candy or cookie company like many other so called weight loss centers? Are they putting diet pills in the water? Absolutely not. There was no ulterior motive. Just the task and desire to help people help themselves. It was just a admirable company with a goal and compassion towards helping others. I will admit that the fees for this group can sometimes be scary at first and that bothered me. Why should I pay out another weight loss company. These are difficult times. What do I have to gain. Well ironically, other then a new much happier way of life, the amount of money I saved in eating out more then payed for the group fees. It actually tripled my savings. I just needed to look at the bigger picture. When I left that day, I was so inspired and more then relieved. I knew that the company had made great changes with C.E.O. David Kirchoff. There was a new level of hope from a company that I could have easily tried to bundle into a group with many others. This was the first time that I knew that I was making a investment in myself. Great work Weight Watchers and Mr. Krichoff as you have brought me along for the greatest 360 in my life. There is new hope after all. I have been trying to lose weight for years. Up and down hundreds of pounds. 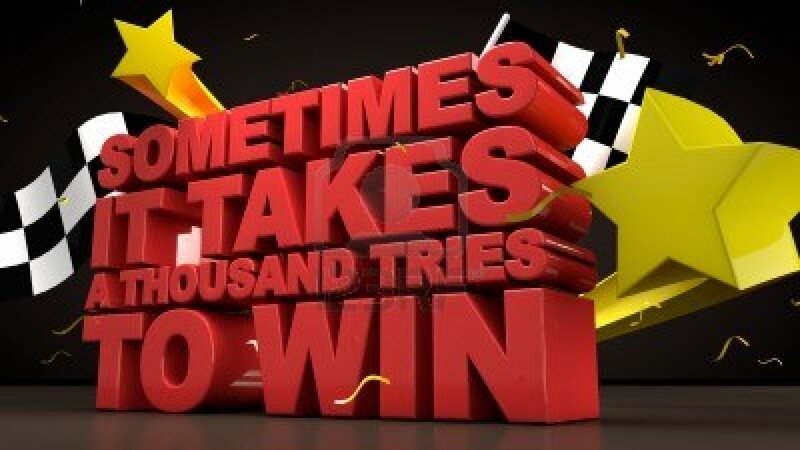 There have been many tries and never any long term success. At first, the thrill is like no other and I am everyones hero. Then the weight starts to creep back on along with all the excuses that come with it. I begin the ritual of self blame and feelings of no self worth. I have been though this a dozen times. Up and down hundreds of pounds but who’s counting. Now it’s January and a new year. The typical big business season for diet and weight loss groups. and products. There is always the new diet we have been waiting for or the different variation on whats already out. All offering that great new approach to take those unwanted pounds off. I am just curious as to what happened to last years new and improved plans. Yet even with the all these great new introductions, the only loss that I maintain is from my wallet. There is no medical cure known to date and the country is getting heavier ever day. In fact, it is spreading to other nations faster then any war in history. So is it my fault? Am I just weak and worthless. Where is that cure I was promised. These weight loss companies are supposedly there to help me. I know that I visit them all many times. Yet each costing me more and more. It’s like that bad friend or relative that you know is going to have their hand out each time you see them. 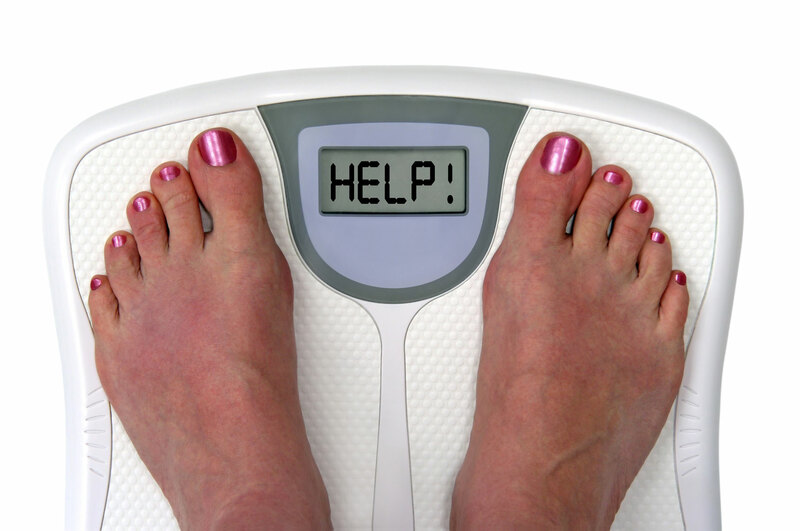 Almost every person struggling with taking off the pounds usually returns to those same companies year after year. With record profits and a unbelievable number of newly minted obese, what is going on. Could obesity be the great new business. The one in which long term weight loss equals a massive business failure. Take a look at the owner of the famous ‘Heart Attack Grill’ restaurant in Las Vegas. He actually used to own part of a weight loss franchise. He is not a bad guy but woke up one morning and made a very different decision in his approach to the battle of the bulge. While shooting ‘Finding Thin’, I was lucky enough to have met him and and many other fine scholars and celebrities. I was hoping they would have the answers and I did find some. Many in places you would not expect. So if spending thousands on weight loss, there must be a group of people out there not seeking profits. It can’t only about be about the books, games shows, and weight loss products? There is still hope out there. I just no longer agree to pay for it. There is a way to perceiver. I know we all can. So I suggest the goal for this year should be to profit on our own weight loss and successes whatever they may be. Lets take off those pounds in a way that makes sense and does not take us for anymore money. Surely there must be weight loss methods that don’t cost a fortune. If it doesn’t cost much to gain weight, then there must be a way to take take it off for just as little. When I interviewed Bree for ‘Finding Thin’ months ago, she did nothing but intrigue me. This woman weighed over 230 Pounds and lost it all…only to win a local beauty contest to become “Miss Cap Cities”. She was awe-inspiring and I wished her the best of luck for her future endeavors. Recently, Bree went on to become Miss South Carolina. Bree was making history. She was an obese woman that shredded the pounds by eating well and working out, and she could possibly be our next Miss America. Bree is the first person to raise the bar for what can be done with weight loss and personal success. Surely she still would have been beautiful, but had Bree stayed at her original weight, I don’t believe she would have the same outcome in pageantry. She is not only a front runner Miss America, but a front runner in teaching our obese society that we can lose our weight and most importantly, be healthy. There are so many good looking and healthy people stuck in overweight body’s and stuck from getting out. Bree escaped her obese path by the good old fashioned way… and she made all of us heavy folk proud, and most of all, hopeful.